Ahead of the London-based designer's menswear event at Somerset House today, we give you an exclusive preview of the film Eary will screen at her S/S12 presentation. The film focuses on Eary's 'Fear & Loathing in Las Vegas' collection for next year's spring season, bringing her trademark aesthetic to the screen. 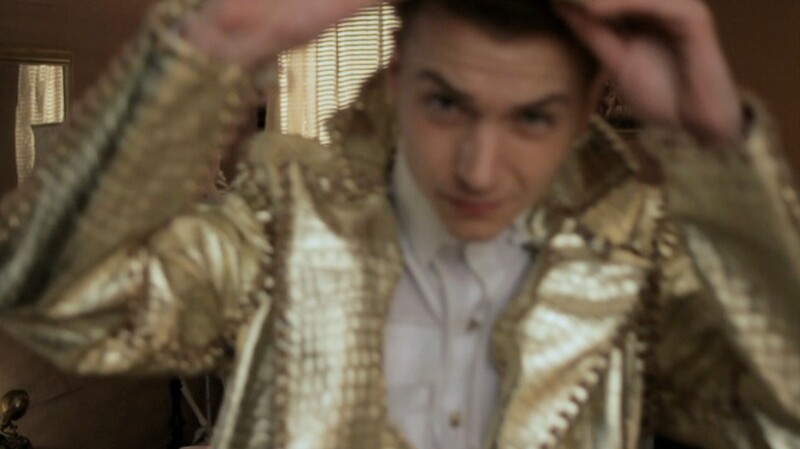 Directed by Vicky Lawton, the clip shows Eary's vision of a 'winter-in-summer' look, laying bare our survival instincts. Inspired by soldiers from the French Legion, Eary sets out to clash an arctic atmosphere with desert influences. Eary said of the film; "We were inspired by Las Vegas' surrounding desert where the chaos begins, and abruptly ends. The idea behind the film was to create the Fear and Loathing in Las Vegas. We wanted it to be quiet literal as this inspiration became more of a narrative. So we decided to rake the hotel room straight from the film and mix in our favorite parts. For example, the lizard ladies in the casino and - of course - the narcotics causing all hallucinations"... come back tomorrow for a full show report, backstage images and an interview!